Drawing heavily on influences from the Art Ensemble of Chicago, The Australian Art Orchestra (AAO) was founded in 1994 with a commitment to exploring the meeting points between disciplines and cultures through the wonder of improvisation. 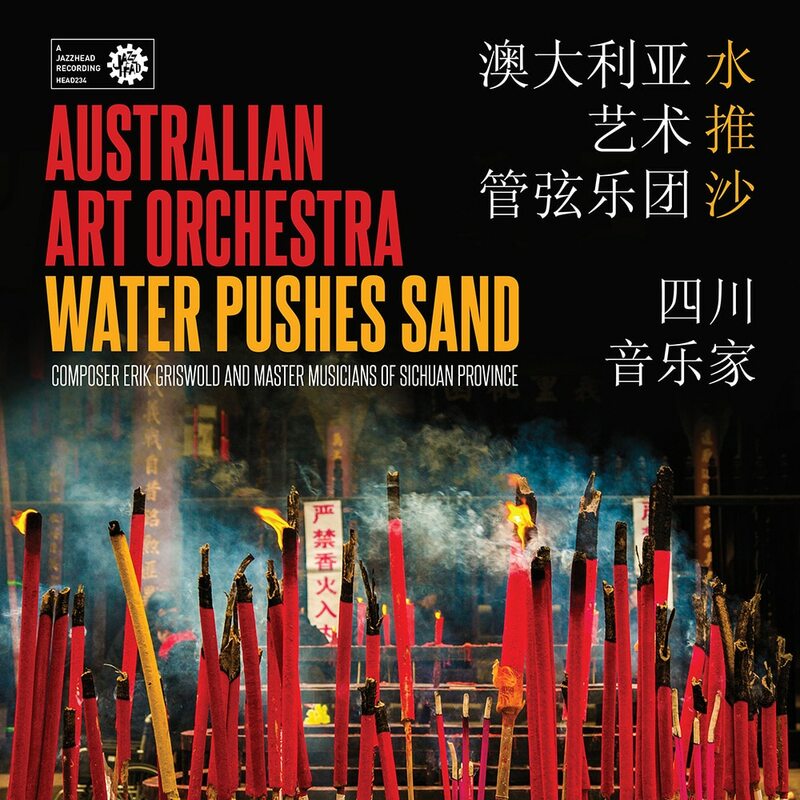 Water Pushes Sand is one of the orchestra's most striking works, integrating elements of contemporary jazz and the traditional melodies, rhythms and cacophonous operatic style of Sichaun, China. Composer Erik Griswold concludes 15 years of research with this work, tapping five of the southern Chinese city's all-star musicians to join five members of the AAO for a colourful collage of winds, piano and percussion.